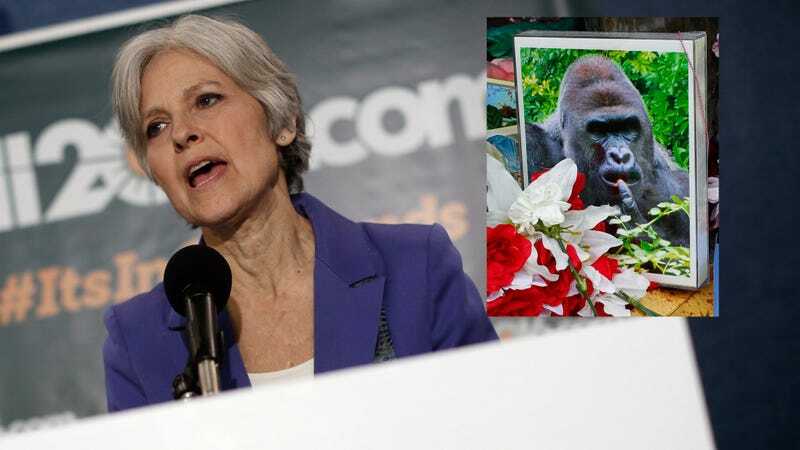 Green Party candidate Dr. Jill Stein went where no other presidential nominee has dared to go Sunday, when she released a statement three months after the death of beloved gorilla and current meme, Harambe. While good emergency staff training might have prevented such a catastrophic outcome, the Green Party believes that captivity for such entertainment is ethically wrong and fundamentally exploitive and should be illegal. When will Hillary and Trump speak out about zoos? America is waiting. In related news, the Green Party candidate also tweeted out appreciation for Dank Jill Memes, raising the question: Is Jill Stein the meme president this country needs?